Water temps were 65 degrees. Overcast on Sunday and partly cloudy on Monday. Water is still stained from the rains, so fish are hard to find. The bluegills have moved into the tree lines down the creek. 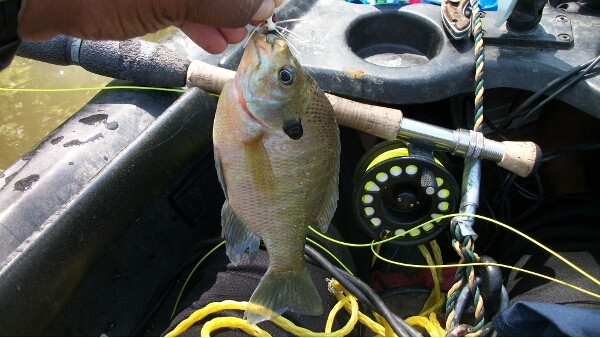 I caught several of them on a fly rod with a small popper. 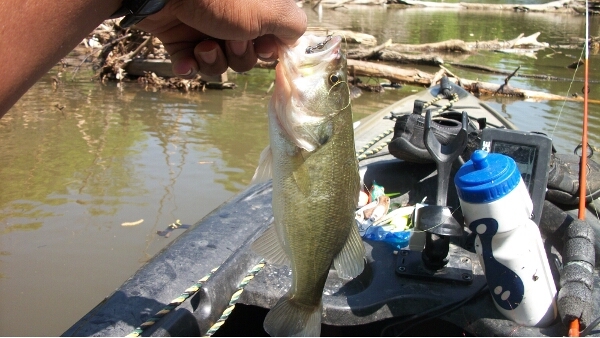 I only caught one small bass near some floating wood. Nothing else would hit the road runner in the muddy water. 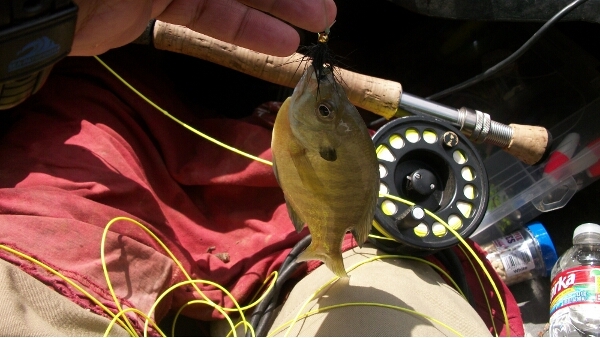 I tied on a black wooly bugger to my flyrod and noticed I was getting small nibbles. 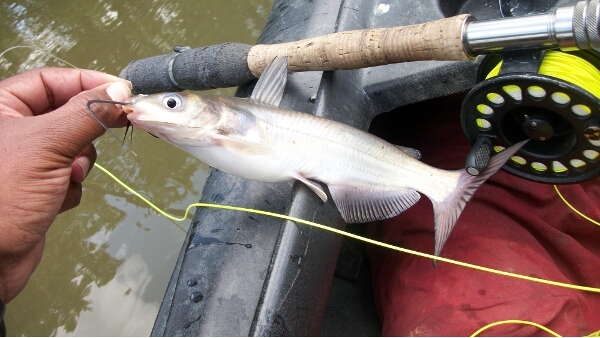 I set the hook on one and pulled in a small channel cat. I caught a few last year on a bugger, but didn’t notice a pattern. I threw the bugger around and pulled in another channel cat. 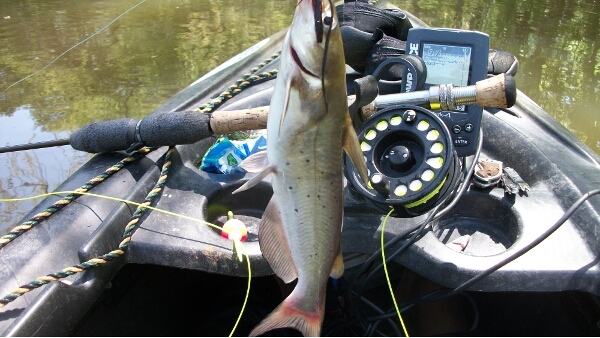 This entry was posted in Catfish, Panfish by joebeasley. Bookmark the permalink.